In a Nutshell: When it comes to fixing or maintaining credit, knowing how to properly manage your finances is key, and there are nonprofit organizations that can help. Finding the right nonprofit, however, can be challenging if you don’t know where to start, simply because there are so many. While the vast majority of these nonprofits do commendable work, there are also some that are less than honest. GreatNonprofits is a platform where donors, volunteers, and clients share their personal stories in relation to specific charities, so you’re getting real, community-sourced feedback as opposed to third-party, sometimes incentivized reviews. The online resource features a comprehensive list of nonprofits, including those within the financial management services space that help people get back on track. Even if you’re currently in solid financial standing, all it takes is a couple of bad breaks to find yourself dealing with credit issues. It’s a pretty common problem in the US, with 1 in 10 adults rolling over $2,500 or more in credit card debt each month. Those in debt might not know where to turn for help to get back on their feet, but a lot of companies and nonprofit organizations specialize in solving problems for those who feel overwhelmed. Before you enlist assistance from a nonprofit, it’s wise to do your research and find transparent organizations that are doing great work in the world. GreatNonprofits is a community-sourced reviews platform geared specifically toward nonprofits. By reviewing nonprofits based on what clients, donors, and volunteers are saying, the site provides a clear look into an organization so that you can make informed decisions when donating or looking to make a difference. For those seeking financial assistance, the site can be a great resource in that it provides information on nonprofits that are specifically geared toward helping with money management. These organizations engage in everything from credit counseling to home loan counseling to everyday financial education. In an article on the “Importance of Transparency,” The NonProfit Times reported that millennials share their lives on social media, and that they expect organizations to do the same. And this isn’t only true of millennials. With the popularity of social media, transparency has become more important, making it challenging to trust individuals or organizations who aren’t as open. Millions of nonprofits exist, and if these organizations can show you who they are in a way that’s relatable, it’s that much easier to support their causes or use their services. Determining whether a nonprofit is trustworthy can be done in a variety of ways. Among the most common are researching how the nonprofit allocates the funds raised by donors, learning whether the organization has tax-exempt status or if it’s based on standards like governance and oversight. While this is great information, what many value even more is the actual transparency of an organization. GreatNonprofits takes the statistics a step further and bases the nonprofit ratings on the reviews of real people — donors, clients, and volunteers. The site achieves this with community-sourced stories and ratings on the organizations reviewed on the site, enabling better decisions on where people donate their time and money, and who they turn to when it comes to financial help. GreatNonprofits features an entire section dedicated to financial counseling nonprofits and charities. For those working on managing their money, improving their credit scores, paying off student loans, or perhaps buying their first home with subpar credit, this can be a helpful place to start. The organizations listed on this page offer a variety of free and low-cost services to help people get on track and improve their financial standings. The mission of Consumer Education Services is to inspire individuals to become debt-free, and it accomplishes this with a range of offerings, including nonprofit credit counseling, debt consolidation, and student loan solutions. The nonprofit organization is based in Raleigh, North Carolina, but it serves individuals across the nation. Consumer Education Services Inc., based in North Carolina, helps people resolve their financial issues. Founded by Jeff Morris — a certified master money coach, life coach, credit expert, and speaker, The Spendsmart Nation exists to serve a diverse population of individuals in areas like spending, saving, leadership, debt, and credit. The nonprofit is based in Carlsbad, California, and offers workshops and seminars on financial literacy to individuals in the area, but anyone with an internet connection can access their online tools and courses. The HUD-approved nonprofit, Cambridge Credit Counseling Corp. (CCC) is designed to help clients manage their debt and assist with housing counseling. It offers comprehensive counseling services to help debtors get themselves into manageable payment plans. CCC can even assist with negotiating lower interest rates and simple consolidation plans. Consumer Credit Counseling Service of Buffalo Inc. has programs funded by the local community. 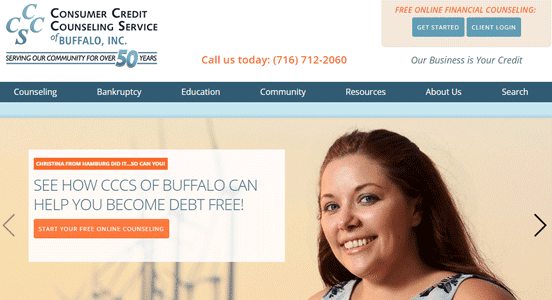 Consumer Credit Counseling Service of Buffalo Inc. is based in West Seneca, New York, and it offers a wide array of educational programs to help you become debt-free. The organization maintains partnerships within the Western New York community, and many of their programs are funded by local organizations and banks. Transparency is key, and the social aspect of GreatNonprofits really helps to humanize each organization under review. Once you’ve chosen a nonprofit to work with, and you get your finances back on track, keep in mind that it’s good to give back to those who have so generously offered their time and energy to help you. Sign up to volunteer or donate to a great organization featured on the site. 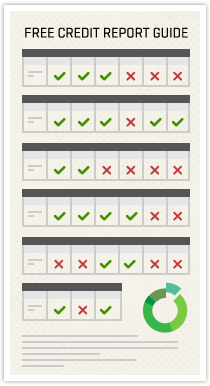 Make sure to find one that resonates with you, and double check those reviews as well. Here’s to getting on track with your finances, and to giving back once you’re in a better place.